melted swiss and cheddar cheese. cheese, avocado & smoked pacific albacore. served with sweet chili sauce for dipping. Teriyaki marinated steak skewers with peanut sauce for dipping. 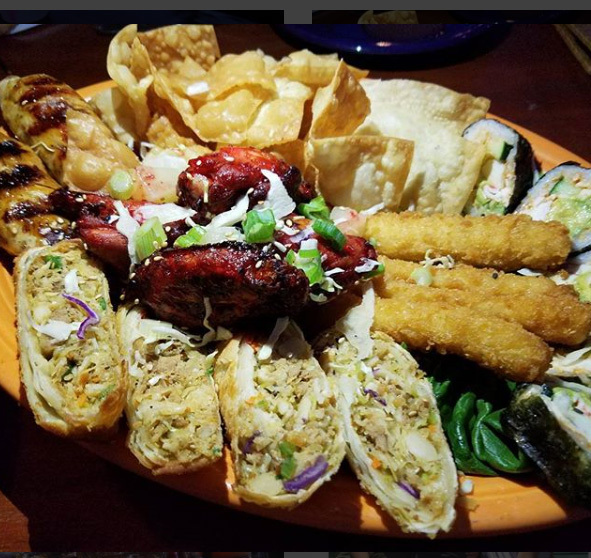 served with sweet chili & cocktail sauce for dipping. with peanut sauce & sweet chili sauce for dipping. capers & habanero cilantro aioli & crackers. shoyu, wasabi vinaigrette dipping sauce. 3 mini slow roasted kalua pulled pork sliders with pineapple served on hawaiian sweet bread & island fries. with a melty combo of cheddar and mozzarella cheese. Seasoned with nori, sesame & island aioli for dipping. Housemade chili with cheese on top of island fries. Tri-tip pork loin, onions, peppers, tomatoes, secret ingredients served in a bowl with a scoop of sticky rice. Award winner. 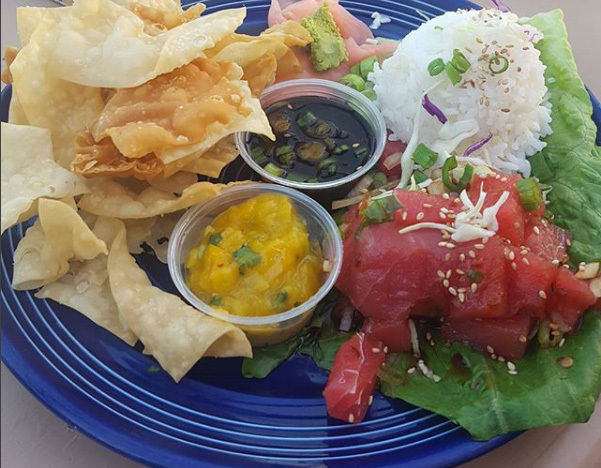 Housemade with the freshest ingredients. crispy wontons & sesame dressing. Caesar salad served with smoked albacore on top. 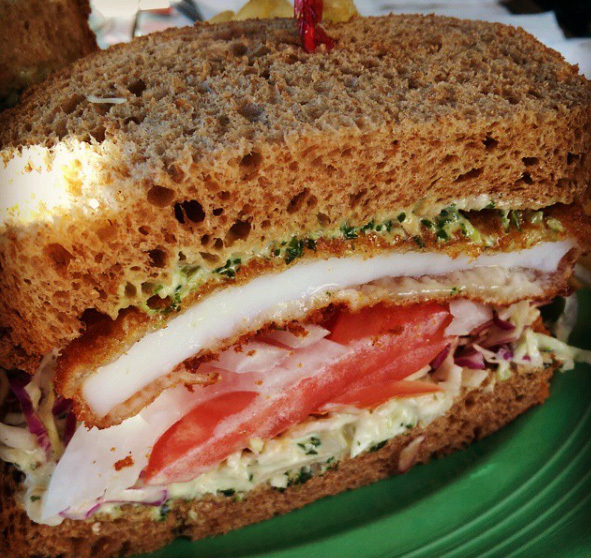 All sandwiches come with your choice of wonton chips, island fries, macaroni-potato salad or green salad. Choice of bread - thick squaw, sourdough or onion bun. All sandwiches come with your choice of wonton chips, island fries, macaroni-potato salad or green salad. Choice of bread - thick squaw, sourdough or onion bun. Marinated charbroiled chicken breast with sprouts, tomato, maui onions & mayo. Marinated charbroiled chicken breast, diced with celery, green onions, mayo, served on thick squaw bread. salad on grilled squaw with melted cheddar, swiss & avocado. habanero aioli, served on thick squaw bread. Slow roasted hawaiian style kalua pulled pork with lettuce, tomato, onions served on an onion bun. Blackened or teriyaki mahi mahi with tomato, onions & mayo. Sashimi grade ahi with sour cream, lettuce, green & white onions, alfalfa sprouts, green & red cabbage, avocado, served with habanero & sweet hawaiian sauces for dipping & a mini caesar salad. 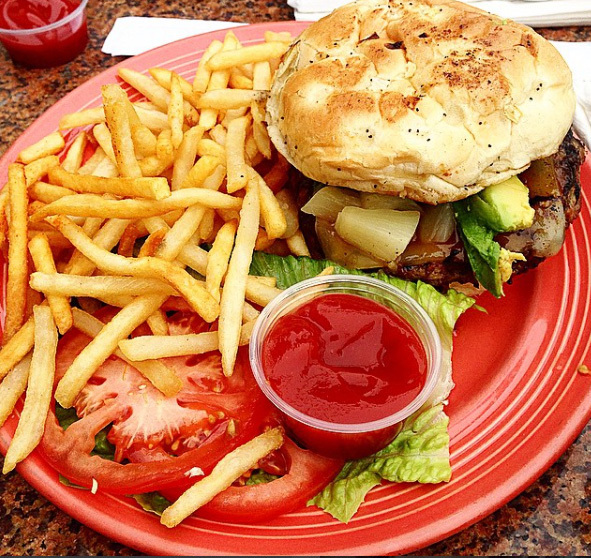 Half pound of lean beef, onions, tomato & lettuce, served on an onion bun. Choice of cheese $1.00. Brushed with teriyaki glaze & topped with pineapple, served on an onion bun. Choice of cheese $1.00. sticky rice & macaroni-potato salad. sticky rice and macaroni-potato salad. 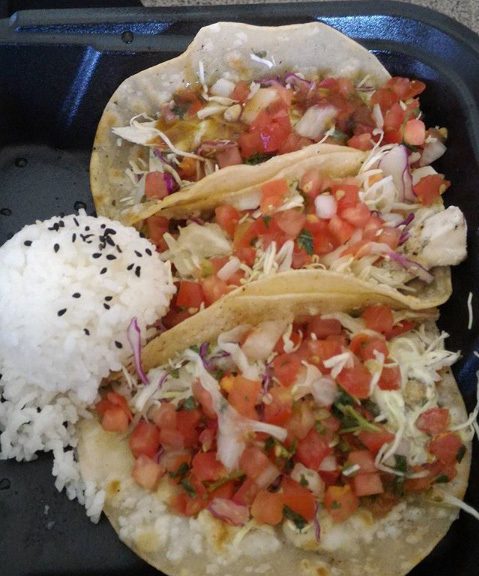 Three kalua pork tacos wrapped in fresh corn tortillas, lettuce & pico de gallo, served with one scoop of sticky rice. Three panko breaded calamari tacos wrapped in fresh corn tortillas, garnished with cabbage, pico de gallo & spicy habanero-cilantro mayo, served with one scoop of sticky rice. Meet Main St. best fish tacos! Three charbroiled mahi mahi tacos wrapped in fresh corn tortillas, garnished with cabbage, pico de gallo & spicy habanero-cilantro mayo, served with one scoop of sticky rice. Sliced chicken breast on top of sticky rice, garnished with green onion, cabbage & sesame seeds. Marinated charbroiled 8 oz. 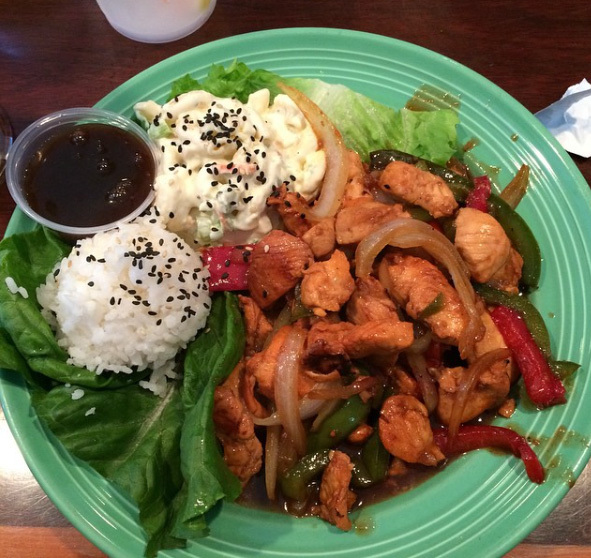 chicken breast with peanut sauce, served with sticky rice & vegetables. Served with mango salsa, sticky rice & vegetables. 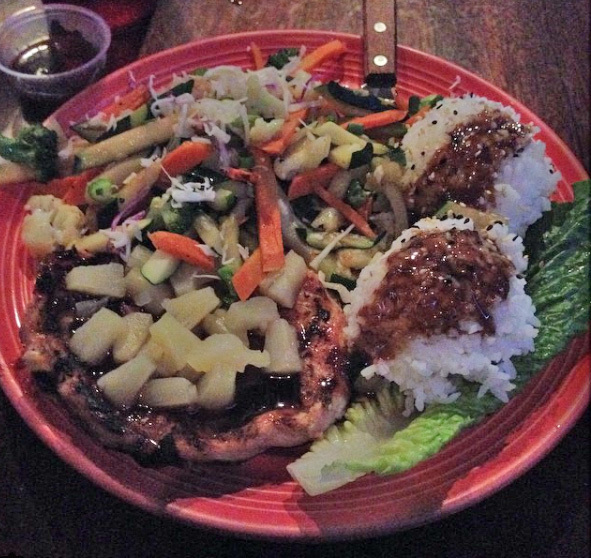 teriyaki,served with sticky rice & vegetables. Mahi mahi filet glazed with lemon-cilantro ginger pepper sauce or blackened, served with sticky rice & vegetables. Capers and mango tarter sauce, served with sticky rice & vegetables. Pan fried. 8 oz. sashimi grade ahi cajun spiced & seared rare, served with sticky rice, vegetables & wasabi. 8 oz. ribeye steak, glazed with teriyaki & cooked to order with grilled onions, served with sticky rice & vegetables. served with island fries and slaw. Marinated drummettes with cherry chai-sui sauce. Pancakes, eggs, bacon or sausage. Two eggs your style, potatoes & toast. Served with potatoes, tortilla & pico de gallo. Two eggs your style, bacon, potatoes & toast. served with fried rice & toast.